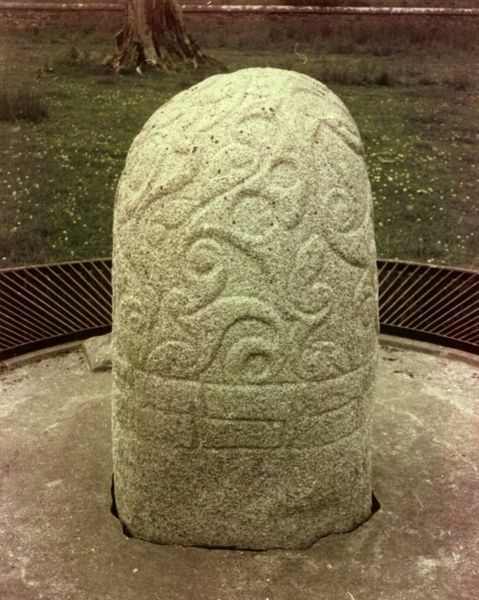 Finest example of Celtic La Tene stone art in all of Europe, the Turoe Stone, at the core of the Turoe/Knocknadala oppidum defensive system of linear embankments. Fir Belg Overkings abandoned the Turoe/Knocknadala oppidum core following Maine Mor & his Ulster forces' 5th cent. invasion of Hy Many in the SE of Connacht.